Hello Darlings, Smaller pores, cleaner face and no wrinkles — sign me up! Not only is it among Oprah's Favorite Things but some say this is the best thing ever introduced to skin care. With such promises, come great expectations! That's right, I am talking about Clarisonic Skin Cleaning System! As a skeptic of all things "miracle-maker", this one took me a while to try. Well, that is until a few weeks ago. This little gizmo uses patent sonic frequency of 300 movements per second and removes six times more makeup than manual cleansing. The system also improves the absorption of skin care products, so that skin looks radiant. Ever since the first use, I've been obsessed with this little guy. It not only feels heavenly on my face, my skin's texture did improve instantly. After using it twice a day for the past two weeks, my pores look drastically smaller and my skin's texture is noticeably better. 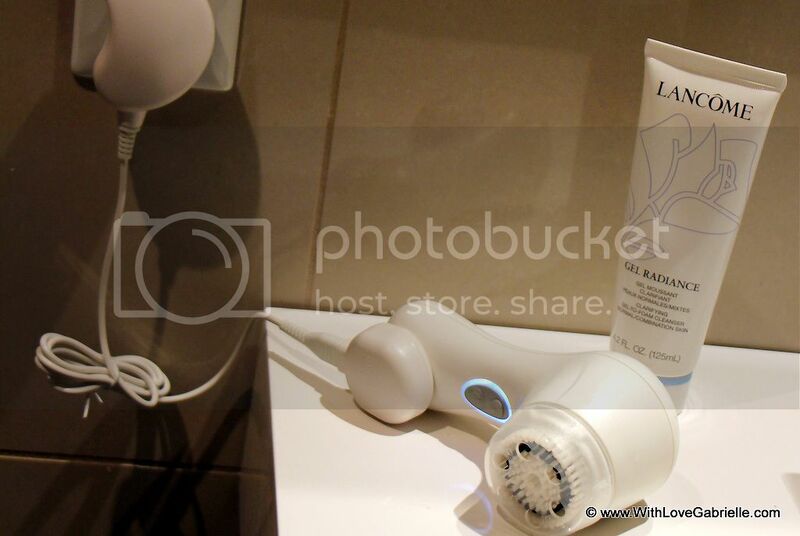 Mine is a Clarisonic Mia 2, which has two speeds and a T-timer to ensure optimal cleansing times. I love that the system is timed to an optimal cleansing rate: 20 seconds for the forehead, 20 for the chin and 10 per cheek. Also, for a girl who's always on the go it comes with a travel case. What can I say, I am a convert and psyched to pick up a body brush! Clarisonic Mia 2 are available at Sephora stores across Canada, including at my favorite Toronto shopping destination Sherway Gardens who are having a #LoveYourStyle contest on their facebook page where you have a chance to win one of 42 Cadillac Fairview $50 shop! card® gift cards and the grand prize of a $1,000 shopping spree with a professional stylist – Enter HERE!